Giving a voice to myeloma patients. Working as partners to influence policy, engage with decision makers and improve patient access to treatment. 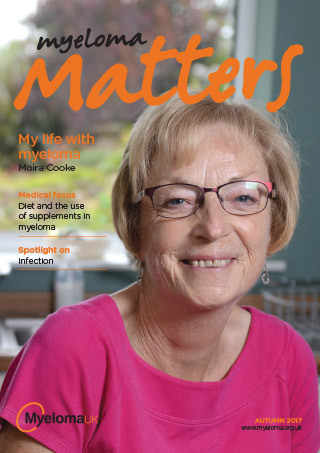 Myeloma patients and their carers are our top priority. We press for access to new treatments which can help patients live longer and with a better quality of life, as well as acting as advocates for patients when dealing with decision makers, such as politicians or senior figures in the NHS. Our work has helped deliver the highest increase in survival rates of any cancer in the UK. Here are some of the ways we make your voice heard. We work with patients, doctors, the pharmaceutical industry, and drug approval bodies like NICE, the Scottish Medicines Consortium and the All Wales Medicines Strategy Group (AWMSG) to make sure myeloma patients receive the best possible treatments. We make sure that our submissions to drug approval bodies are evidence based by working closely with our Health Services Research Programme. We produce papers and reports to help inform government strategy. We take a collaborative approach and work with the myeloma community to bring about positive change. 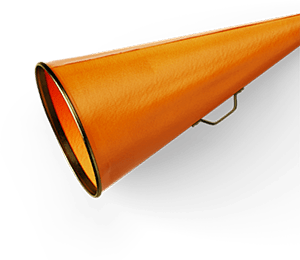 We seek out opportunities for myeloma patients to have their voices heard – from clinical trial design, or appearing in the media, to speaking directly to decision makers to deliver change. We also work in partnership with a vast range of other cancer charities as members of campaigning coalitions. People sharing their stories across 11 forums with over 2000 topics.